Open banking is a Game Changer and will make things simpler, quicker and more convenient. In the UK they already implemented PSD2, enabling consumers/SMEs to securely and conveniently share their banking data with third parties. This means that if you are an Italian fintech Startup, you can there “explore the future”, maybe developing products or services for SMEs ready to be brought back in Italy following the PSD2 implementation. 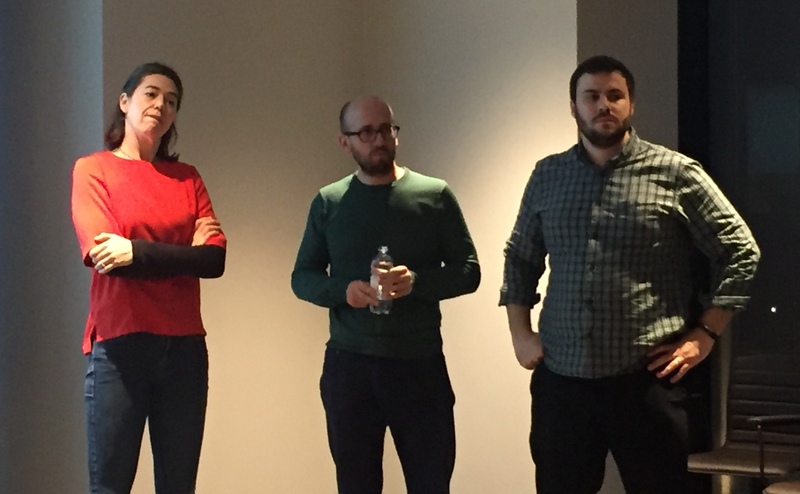 These were the scenes and the reason why of the event hosted by Fintech District on 4th of April and organized by NESTA, focused on Open banking and dedicated to Fintechs interested in entering the UK market. Open Banking is set of technologies and data standards that can be used by the developer community to make the sharing of financial information easy and safe. Open Banking CAN BE the solution for a more open and level playing field between the retail banks and financial services providers. As global innovation foundation, Nesta is working to create a dynamic, profitable and sustainable market for new financial services, easily accessed through consumers’ everyday devices also by SMEs that with Open Banking have complete control over their financial data. This new “power” creates a lot of opportunities for “third parties” with which they can choose to share them, including Fintech startups that become more able to develop financial assistants, cashflow management tools, credit passports, dynamic budgeting applications, software integration tools and comparison platforms as illustrative examples. This is the context for the Open Up Challenge, a £2.5m technology prize for fintech companies at the forefront of open banking, backed by the Competition & Markets Authority and managed independently by Nesta. In 2018 this initiative aims to distribute £2.5m equity free to fund ambitious products that will use open banking to help UK small business, in June 10-12 finalist will win £100K each and will have access to Nesta’s Data Sandbox till November when 5 or 6 winners will receive a further £200K each. Announcing that “we are now accepting new applicants from around the world”, Pete Finlay and Chris Gorst, members of the Nesta team, turned it over to Ruth Chamberlain, Co-founder and Country Manager (UK), Investly, a company that helps European businesses finance their 30-180 day invoices on a easy to use marketplace that brings them the best price from multiple investors. 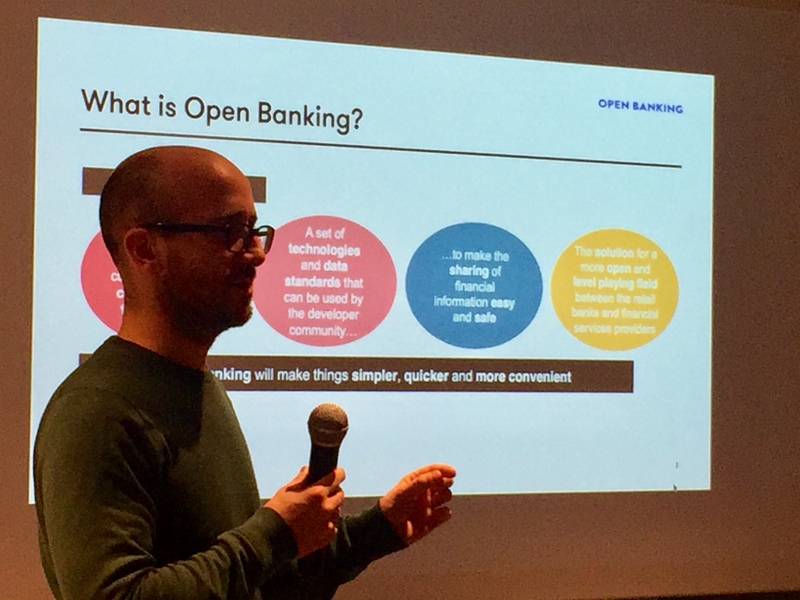 Chamberlain, during the event, showed the different route to acquiring customers enabled with Open Banking. Comparing banks and Investly, and the activity of each other, she noticed that banks focus on serving companies with large credit limits and don’t lose their customers, getting also additional revenue stream. Investly makes Invoice finance available for the smaller end of their SME customer segment and gets access to large pools of customers. Credit Data Research, member of the Fintech District, is another example of Fintech company able to offering innovative service related to Open Banking. Andrea Massarelli explained what PSD2 will mean for banks also in Italy, presenting what a company like Credit Data Research can provide them: transparent and highly accurate Rating Services that the they can offer to their clients, new services for Portfolio monitoring and benchmarking, Credit Passport reports produced of real time and an analytical platform to create Risk Management dashboards and also elaborate new behavioural marketing strategies.